Magento Online Store is the complete eCommerce solution for any business that is ready to take a full advantage of online sales possibilities. 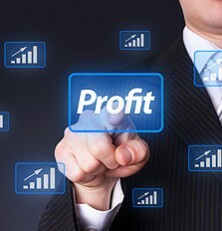 It is designed to handle a large amount of products and categories, offering, in the same time, extremely fast processing. Web design, based on Magento offers the whole marketing tool set out of the box. Online store owner is able to create very sophisticated price or shopping cart rules, discounts and offers without any coding or programming knowledge. Administrator is able to maintain and manage business inventory, newsletters, orders and sales statistics and history, all from one place – Magento Admin Panel. One of very few downsides of Magento web design is its bandwidth and web hosting requirements. It is without doubt a very heavy data driven application since this type of online store is designated for businesses with hundreds and thousands of products and many product management options. Magento will require specific server speed and configuration to operate properly. It is data-driven online store platform so typical, cheap, shared hosting is out of question as Magento shopping cart would perform very poorly and slow. As an experienced Magento Web Design company – we strongly recommend SimpleHelix, as it is very reliable, powerful, not expensive (about $20/mo) and designated to Magento Web Design hosting. Design Themes There is a hundreds of pre designed templates available to purchase or download for free. If any of them will be suitable for your needs, Ewebproject can install and configure it for you for the fraction of Magento web design fee. Extensions For any, even complex and sophisticated functionality you can think of – there is probably existing extension designed already, which could be purchased and installed to your online store with ease. 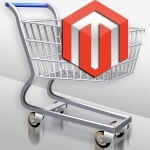 Magento Shopping Cart includes the complete toolset you need to manage and grow your business. Websites designed on this platform, scales to accommodate highest volume of visitors, large product inventory and options, with all marketing tools build into online store. Magento Community Edition is open source software and can be downloaded for free. Web Developers then, can modify store web design. its look and feel as well as the core code and add features and functionality by installing, growing in numbers existing extensions from the Magento Connect – it is similar functionality to e.g. plug-in installation in WordPress website.